It seems that every week there is a new report on executive remuneration but on closer inspection most focus solely on just a small section of the UK board level population, commonly chief executives in the FTSE 100. At E-reward, we aim to provide an understanding of what is going on across the whole spectrum of UK companies, both large and small and, as a result, our mid-year analysis covers 1,506 board members employed by 629 companies with financial year-ends up to and including April 2017. March and December are the two key dates in the executive remuneration calendar with over three-fifths of UK remuneration reports published in these two months and our mid-year analysis covers these two dates as well as numerous other reports published in the previous 12 months up to April 2017. The E-reward Summit Database stores a huge amount of remuneration data and this report draws on a fraction of this information. 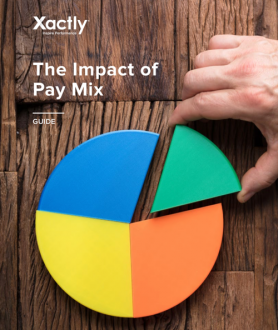 More specifically, our findings cover all the FTSE 350 but also the results are based on the data from hundreds of other organisations listed on the SmallCap, Fledgling and AIM indices examining past pay levels as well as future scenarios and incentive plan implementation levels for the coming year. In this report, we cast our eye over three broad roles – chief executives, finance directors and other directors and our analysis only includes full-time directors who were in post for the whole financial year. We hope this provides a comprehensive snapshot of the current UK executive remuneration landscape but for a much more detailed understanding of the present situation please contact us to find out more about our Summit Executive Remuneration Database.